Approved by: Centre for Diabetes. Approved as part of the heart and stroke foundation eating plan. Vitamin C enriched. Diabetic friendly. Sugar or fat free. 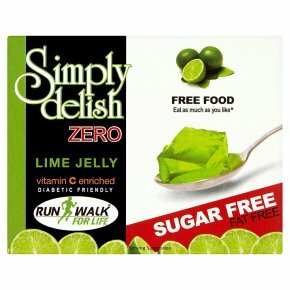 Gelatine or tartrazine free. No preservatives. Suitable for vegetarians. Halaal - South African National Halaal Authority. Kosher - Mehadrin Parev. Directions 1 Pour jelly powder into 100ml of cold water and stir until dissolved. 2 Add 400ml boiling water and stir. Place into serving dish or mould.